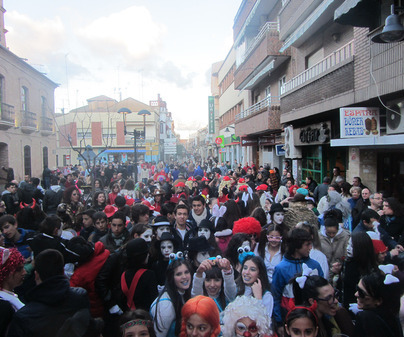 This is undoubtedly the most noteworthy and rooted festivity in Malagón. 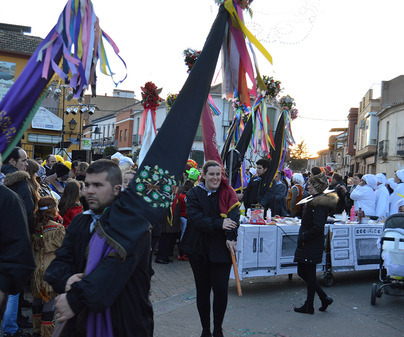 The announcement poster contest is the first function with a carnival flavor, although the Carnival festivity starts to be felt to the fullest on Fat Thursday, Thursday before Carnival. 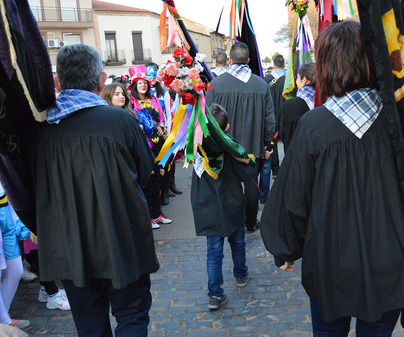 It is tradition to climb to the location known as Plaza de los Moros. 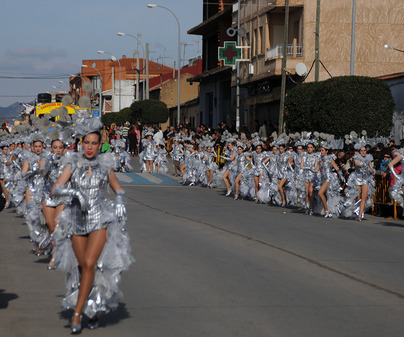 On Friday, Carnivals start officially with the opening speech, the distinction to the flag bearer of honor and the Murga Contest, in which the different groups in the municipality display their sense of humor through satirical lyrics dedicated to politics, to popular personages, etc. 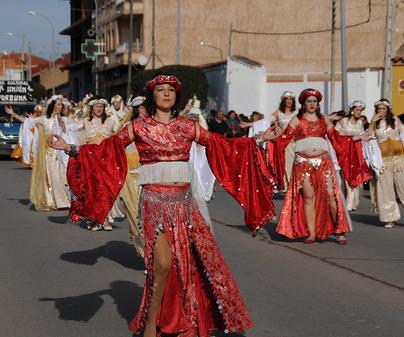 On Carnival Saturday a great Float and Troupe parade is held, one of the oldest in the province. 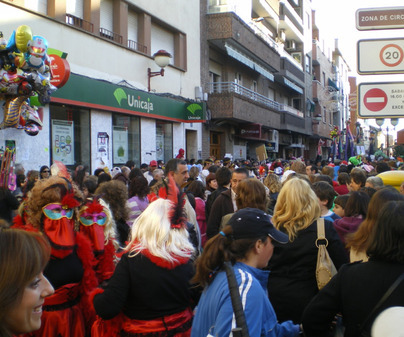 During Carnival days large Masquerade Balls are held, standing out because of its originality the Street Hideous Mask, a personage that keeps wandering up and down the streets trying with his grotesque costumes and his gestures, not to be recognized by his fellow citizens. “I bet you don`t know me!” will be the most repeated shout by these funny masks. 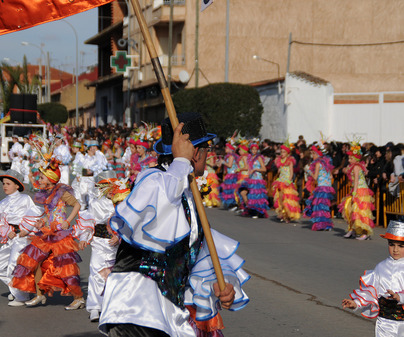 But if there is a unique tradition in Malagón Carnival is its Banderas de Ánimas(soul flags). 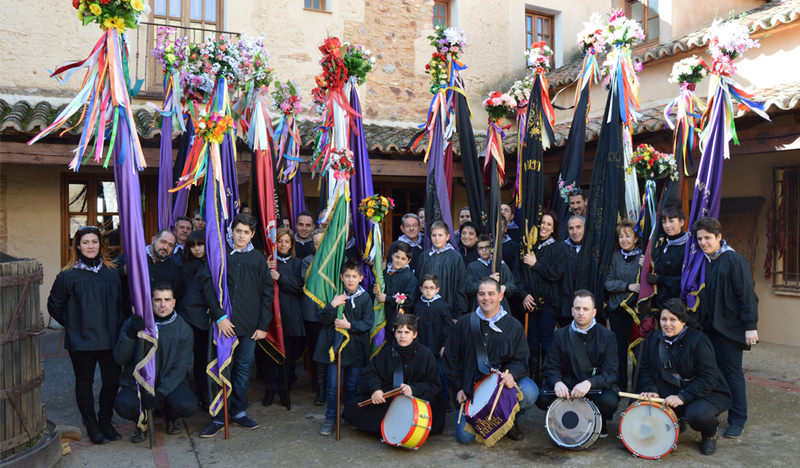 We have to look for the history of this peculiar tradition at the dawn of the 16thcentury, when we can already find a Cofradía de Ánimas(soul brotherhood) which, during Carnival days, celebrated its ceremonies in memory of the deceased people. 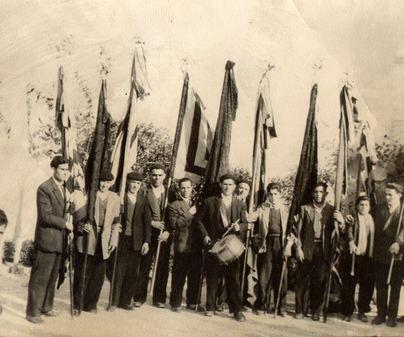 Throughout the centuries this Brotherhood took root and included among its ceremonies the Flags parade which has lived on up to the present day. 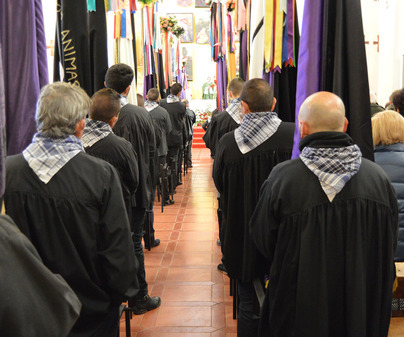 On Carnival Sunday, Monday and Tuesday, along with the sound of the drums, a parade of flag bearers, dressed up in black and with a scarf around their neck, go along Malagón streets carrying Soul Flags. These Flags are made out of dark, delicate fabrics, with golden and silk embroideries representing religious motifs, finished off at the top with a bunch of flowers from which a crest of satin ribbons flutters. 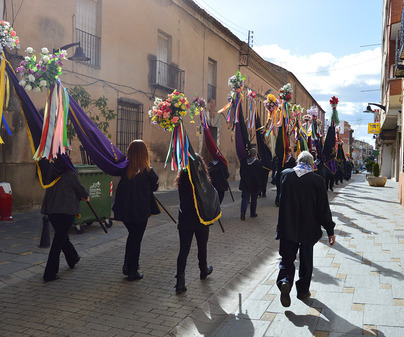 The meaning of these Flags is not clear, but the most accepted opinion is that they are a reminder, among profane entertainment, for Malagón inhabitants about the ephemeral in life and their deceased people. 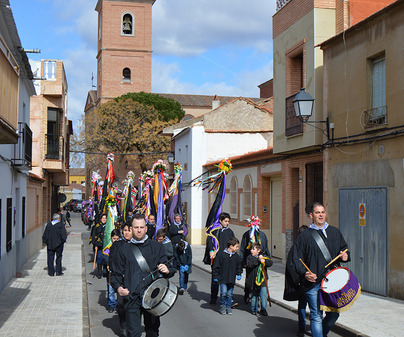 In the morning of these Carnival days, the Flags go to Santa María Magdalena parish church to hold the Soul Ceremony and in the afternoon at the same Temple, the Offering and the Procession with the Holy Sacrament. 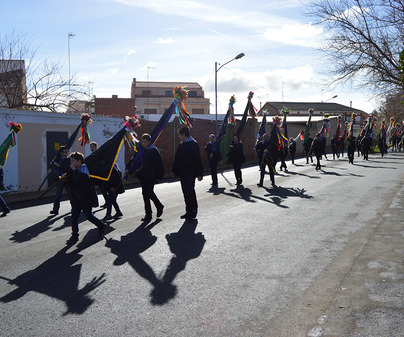 Sometimes the Flags are accompanied in this parade by some odd batons called jinetas. 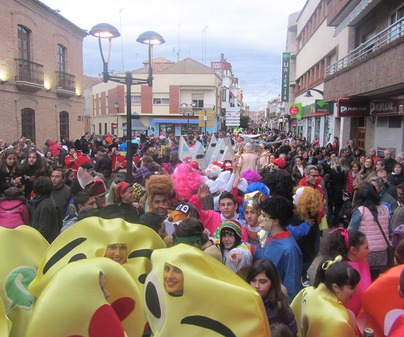 Over the last Carnival days the Regional Contest ofMigas(traditional Spanish dish made of bread crumbs with meat, grapes and green peppers...) is held, which brings together many participants coming from all over the region and in which all people present can have theirmigas. 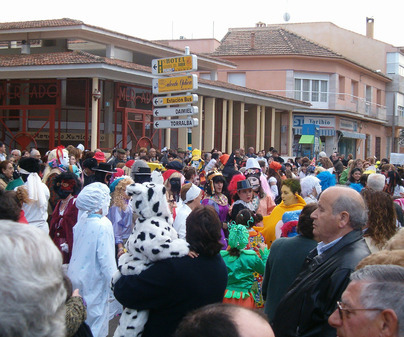 To sum up: Malagón Carnival is a singular, attractive, fun and welcoming festivity, rooted in history and in which you can enjoy both a nice festive atmosphere and the hospitality of Malalón citizens, as well as the typical gastronomy assortment during these days, among which doughnuts, wafers and pastry flowers stand out.